Monogrammed Floral Tote Bag. 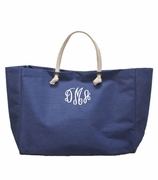 Accent your wardrobe when it needs an uplift and carry this monogrammed floral tote bag. A complimenting blend of white and black medallion cross on a light blue background with black trim. Over the shoulder web handles, front zip and interior wall pockets, and sturdy footed bottom. Perfect size tote to add with current travel bags for last minute items unable to fit into luggage. 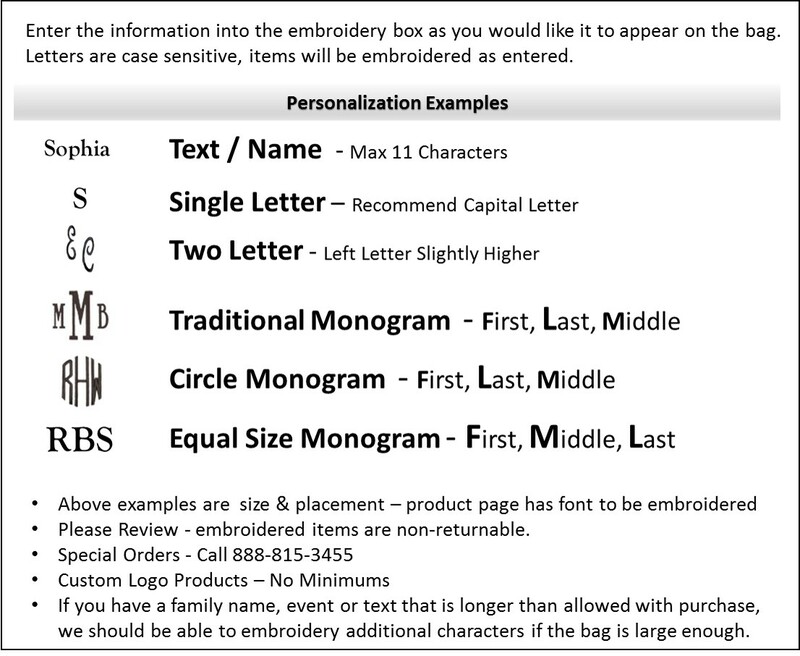 Embroidered monogrammed floral tote bag measures 18" wide x 14" height with 7 inches across bottom. Tote is lined with zipper closure.